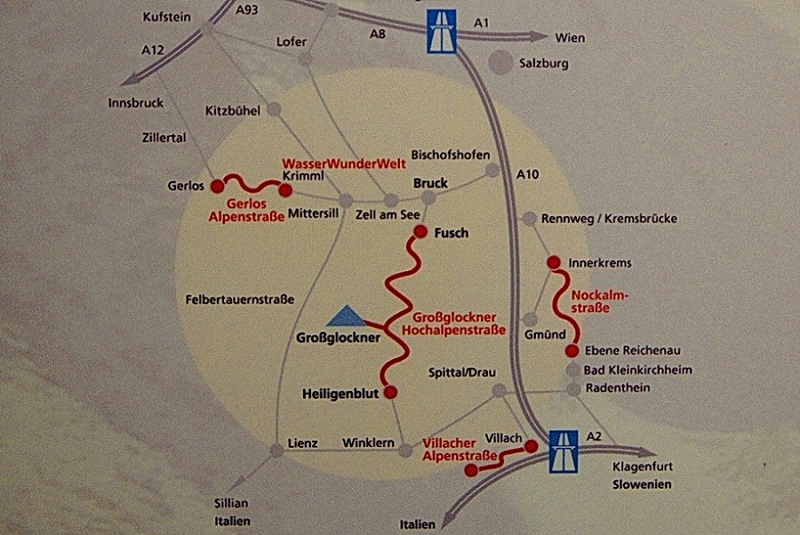 Map of the National Park Hohe Tauern (Austria). 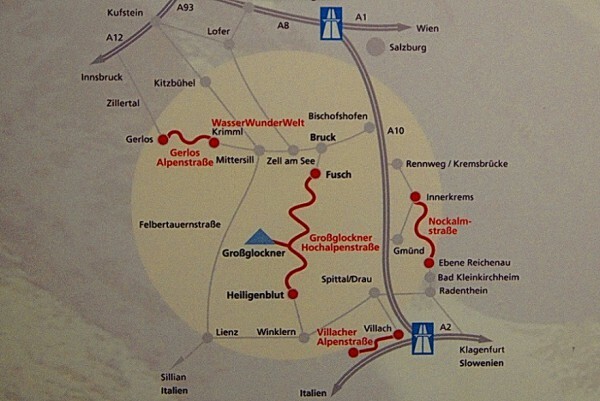 There are four panoramic roads in the National Park Hohe Tauern. The map of these roads is shown below (it can be enlarged too). We drove along two roads: a) from the village of Gerlos to Krimmel (where there is a waterfall); b) from the village Fusch to Heiligenblut. 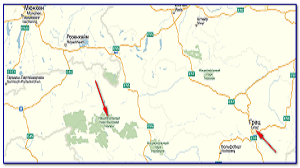 We found more information about the roads on Yandex.maps. The diagram of panoramic roads was photographed in the National Park Visitors’ Centre. I'll write about the Nationalparkcentre Mittersill later. As for the panoramic roads, bear in mind that they have been used since 1935. They were built specifically for tourists travelling by cars, motorcycles and bicycles. Driving along them is open from early May to late October, and all the roads are turnpikes. This entry was posted in Maps of my travels and tagged maps. Bookmark the permalink. That is very fascinating. You’re an excessively skilled blogger. Thank you, it’s very pleasure for me. You can write about your travel experience and sent to me, and I will put your article to my site.